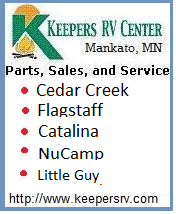 Minnesota RV camping sites are located along beautiful lakes and in deep forest locations. From the shores of Lake Superior, to deep woods remote campsites, you should have no trouble finding a great RV camping site. Below are links to official federal, state, and community public RV camping information, private RV parks, official state tourism information, and free camping locations in Minnesota. Minnesota RV Parks – Research tool for finding private RV parks and campgrounds in Minnesota. National Park Service – NPS information about Minnesota RV camping at National Park administered lands. US Forest Service (USFS) – There are two national forests in Minnesota. Hiawatha National Forest – Northeastern Minnesota with free and fee developed campgrounds, as well as dispersed camping (boondocking) opportunities. Chippewa National Forest – Located in north central Minnesota, this forest offers fee and free developed campgrounds, and dispersed camping opportunities. US Army Corp of Engineers – USACE/COE information about COE managed lands and RV camping.. There are ten campground locations listed in Minnesota. US Fish and Wildlife Service – FWS information about National Wildlife Refuges in Minnesota. Information provided to help locate areas you may be more interested in visiting, but be aware that most NWR’s do not allow camping. State Parks – Minnesota official state interactive map locater for state parks and recreation areas. State Forests – Official state interactive map locater of state forests. State forests offer both free dispersed camping, and nominal fee developed campgrounds. Forest Camping FAQ – Information about Minnesota campsite types and regulations. Official State Tourism Website – Where to go, and what to do in Minnesota. Includes RV camping suggestions and trip planning ideas. RVDumps.com – Places to dump in Minnesota. Sanidumps.com – Minnesota RV dumps listed by town. Free Minnesota RV camping can be found throughout the state. Minnesota state and national forests allow free dispersed camping, and the US Forest Service has free developed campground locations. Many towns have free RV camping locations as well. The following are only a few examples of the many free Minnesota RV camping locations available. Superior National Forest Campgrounds – This link takes you to the official camping information pages. US Forest Service campgrounds. Dispersed Minnesota RV camping (boondocking) is encouraged. Located at the fairgrounds, electric, water, and RV dump. I-90 at SH-169, Blue Earth exit, go 0.3 mi to Fairgrounds Rd (Wal-Mart), West past 60′ Jolly Green Giant, follow camping signs. 48 hrs free camping, then donation. Free city park, 4 graveled sites, electric., water, dump station, rest rooms(may be locked). From Hwy 28 going SE, turn right at Park St. Go past the maintenance garage/ recycling center. Park is on right. Traverse Co. Park has 3 free sites with electric, unlimited primitive sites, water, boat dock, pit toilets, dump station in town. Take 27 north; at 6-mi marker, turn left into park. At the Shooting Star Casino on US-59 there are long pull-thru camp sites with full hookups. There is a charge of $15.98 per day, each adult occupant of the rig is given a coupon good for $10 in the casino. The city park is located close to the Hwy and offers showers and electric. $5/day for electric honor system. The Mall of America. Use the parking lot on the north side of the mall. No facilities. Located 1 mile west of International Airport on I-494. Free city park. From Hwy 7 (Second St.) turn west on Madison Ave. Park is on left before bridge. Some electric sites, water, picnic tables, dump station, grassy un-designated sites, fishing. Off I-94, exit 38. City park with water & electric. Limit 3 days. Stop at I-94 truck stop for directions & check in with local police. In southern MN. Half mile N of US-14, W side of SH-4 at Sleepy Eye Lake. Open all year. No time limit. No size limit. Truman is north of I90 on Highway 16. Free parking in city park for 3 days, $3 day next five days, $10/day thereafter. Water and electric hookups, dump at entrance (key at city office). Park is behind high school and next to swimming pool. Library in same building as city office is open weekday afternoons and has one Internet terminal. About 20 miles north of Rochester, Covered Bridge Park is on MN-58, 1.1 mile north of US-52. Water and electric (20 amps) for 6 rigs. Plenty of dry RV camping. Dump station, restrooms, showers, pool. Donation. Clean, maintained. Public lands offer great RV camping opportunities in Minnesota. 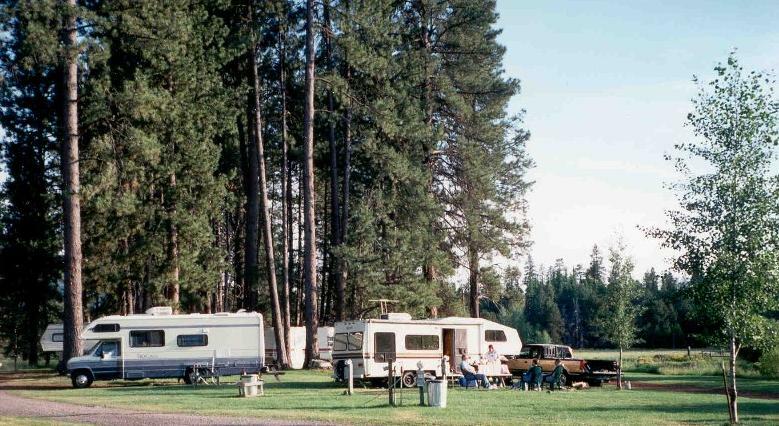 State, Federal, and community campgrounds have basic service campsites with picnic tables and fire rings, to full hookup RV resorts. The following are just a sample of the great public Minnesota RV camping locations available. Electric RV camping sites are available at the USACE (US Army Corp of Engineers) Gull Lake Recreation Area. Crow Wing State Park offers 12 electric campsites of 59 total. Historic area with fishing, hiking, wildlife viewing and many more recreation opportunities. A personal favorite because family members helped preserve the Crow Wing area. Fishing, hiking, and the “Big Spring” make Beaver Creek Valley State Park is a great RV camping destination. 42 campsites, 16 with electricity. Voyageurs National Park offers primitive boat only camping. RV camping is permitted outside the park, and since many folks with RV’s living in Minnesota have a boat orcanoe, we’ve included the link here. Water based recreation and 28 campsites are available at Split Rock Creek State Park. The largest lake in southeastern Minnesota offers boating, fishing, water skiing, and more. Swimming, fishing, boating, great RV camping, and more await you at Lake Bronson State Park. Experience forest and prairie at this popular park. Hiking and biking are popular activities. Glacial Lakes State Park offers great scenery, and is a wonderful RV camping destination. 39 campsites, 14 with electricity are available. The USDA Mable Lake Campground is located 26 miles east of Walker on Highway 200. Mable Lake is a secluded campground with a beautiful, sandy beach. There are 22 campsites available. The largest peat bog in the lower 48 states is located at Big Bog Campground. 26 of 30 campsites have electricity at this interesting state park. The USDA Chippewa National Forest offers RV camping at Noma Lake Campground. 14 campsites with a boat ramp and fish cleaning station.